From Las Vegas to New York, journey of a French cutting edge product shooting for the stars. For its pre-launch, Stellina smart telescope will be available exclusively at MoMA Design Store during NYCxDesign in May. Vaonis is pleased to announce that MoMA Design Store is going to showcase Stellina new telescope for NYCxDesign in May 2018. Stellina, the award-winning next generation telescope, has a new occasion to shine after being noticed at the Consumer Electronics Show in Las Vegas last January. MoMA Design Store has selected the telescope as part of their product suite launching during NYCxDesign in May. It will be the first telescope that the MoMA Design Store will offer in their store. 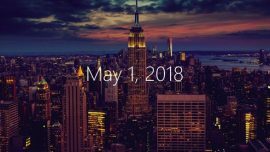 On the occasion of the New York City’s annual celebration of design, MoMA Design Store will shine a spotlight on the dynamic French Tech startup scene. 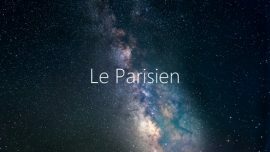 The store collaborated with La French Tech, an innovative public policy initiative that has fostered the booming French startup community, to select over twenty of the country’s most innovative new technology products with standout design. The full assortment will go on view and be available for sale starting May 10 at MoMA Design Store locations in Soho and Midtown, New York and online at store.moma.org. 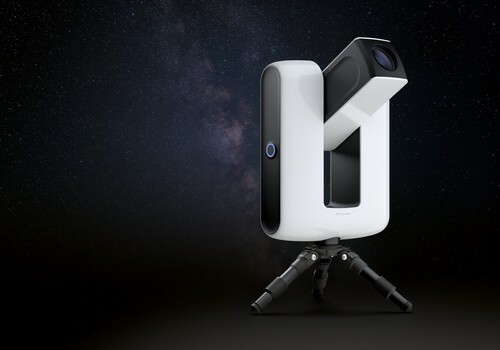 The Stellina telescope will be available for avant-première since the official launch of the product is expected in September 2018. The price will be $2,999. MoMA Design Store offers curator-approved products that bring quality, creativity, and design innovation to everyday living. Every purchase supports groundbreaking exhibitions at The Museum of Modern Art, a wide range of education programs, and the preservation of the Museum’s collection. In 1932, MoMA was the first art museum to establish a curatorial department dedicated to Architecture & Design, and by mid-century, it was playing a leading role in defining and promoting the values of “Good Design”, which MoMA Design Store continues to champion.